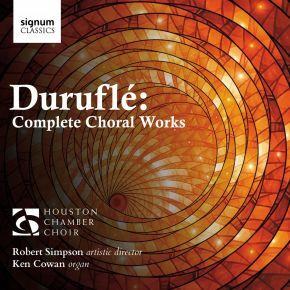 The choral works of Duruflé, like his organ works, are small in number but beautifully crafted. Frequently written and rewritten until he was completely satisfied, he was a composer who rethought and reconfigured his music right up to the moment he had to let go of it. Often described as a man out of step with his times, his pieces look back to Gregorian chant and plainsong at a time when the musical life of his home city of Paris was steeped in radical new compositional ideas – a testament perhaps to Duruflé’s enduring love of France’s choral heritage.